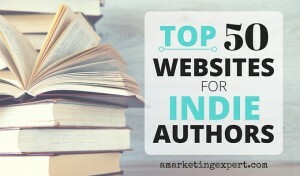 Everyone wants to host a popular, well-read blog, right? If you’d like to learn additional learn tips from a pro – namely ADAM CONNELL – you should consider subscribing to his Blogging Wizzard. Adam’s posts are comprehensive and informative and to get you started I’ve included a recent post by him in this roundup. Another great post I found was on book promotion. Who wouldn’t love to get their books in front of 37,000 industry professionals, right? Well, this post purports to explain how to achieve that incredible goal. There are other great tips below as well from Penny Sansevieri, the Buffer Blog and Lindsay Buroker. I hope you enjoy them. Book Promotion When Time Is Limited — What’s Most Worth Doing? from Lindsay Buroker: A blog reader sent me a note asking what I would do to promote a series like my Emperor’s Edge if I was starting from scratch and had an hour a day to work on the marketing side of things. I rambled a bit and tried to give a helpful answer, but I wasn’t sure I articulated myself well, because the truth is… enh, there’s not an easy answer or one specific thing you can do to find certain success. Oh, I know what I would do if I were starting from scratch (I recently laid out my plan for launching a pen name in a different genre and getting — I hope — reviews and sales as a new author), but what should you do if you only have a few minutes a day for book promotion? The 7 Key Ingredients of a Powerful Twitter Bio from Buffer Blog: Your online reputation is your reputation. And it better be good. The way you describe yourself on Twitter has everything to do with how people perceive you online. So how the heck do you do it right? In this post, we’ll go over the 7 key ingredients of a powerful Twitter bio–whether you’re a novice or a social media pro. Where to find ideas and inspiration for a blog post from The Next Web: One of the most common questions I get asked as a writer/blogger/content marketer is where I get my ideas from. Publishing as often as I do (multiple times per week, up to every weekday sometimes), ideas are certainly something I need a lot of. How To Create Viral Content (Really) from Author Marketing Experts: Want your next blog post to go viral. Here’s a tip: Start with a headline. People open blog posts based on the headline, that’s really key so you have to start there. Headlines cause blog posts to go viral, the blog content, while important is not as key as the headline. Get your book in front of 37,000 book industry professionals from Indie Reader: Seeing your book on a friend’s Kindle is great, but every author longs to see their title on a book store shelf. Not just another listing, IndieReader In-Store (IRIS) reviews and catalogs your book as part of a branded collection on Edelweiss, an online catalog service used by a majority of independent bookstores (plus B&N! ), a social network platform for industry professionals and an interactive research tool for librarians, bloggers and reviewers.